Keeping up with the neon trend, today we'll be talking about 'Neon Color-blocking' a very fun way to wear this bright-loud colors and still look chic. -When it comes to shoes, go simple by choosing a pair that uses just one neon color or make a bold statement with a shoe that incorporates three or more shades. -When it comes to bags, embrace big totes by day and the trendy clutches by nighttime. 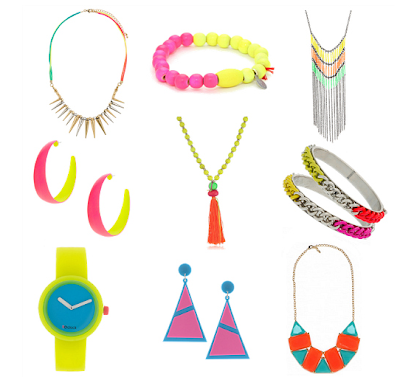 -When it comes to accessories, go for the bright and bold necklaces, bracelets, earrings and watches like the ones below. 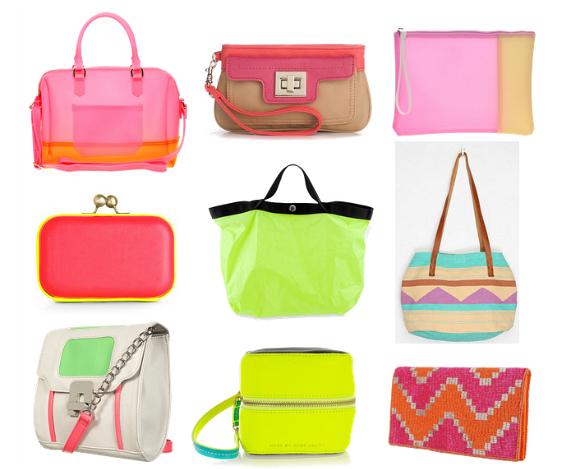 I am all about color blocking! Dont forget to visit http://shopwithkaren.blogspot.com/ to compete in @SSarahsboutique special prize give away for 2 lucky fans! omg I absolutely love the jewellery! Thank you <3 i am following you already.